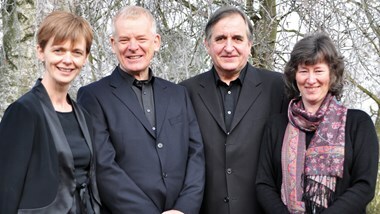 Nic Fallowfield and his experienced Tedesca colleagues Clare Bhabra, Richard Muncey and Jenny Curtis, bring their innovative and exciting approach to the special Benslow Music Group Quartet concept, where tutors sit and play within the group, approaching everything as large-scale chamber music. Individual responsibility and initiative are encouraged, as is discussion on musical issues and techniques. The Tedescas will offer their personal insight into rehearsal tips and techniques. The workshop is a fantastic way to observe and participate in a professional rehearsal environment.